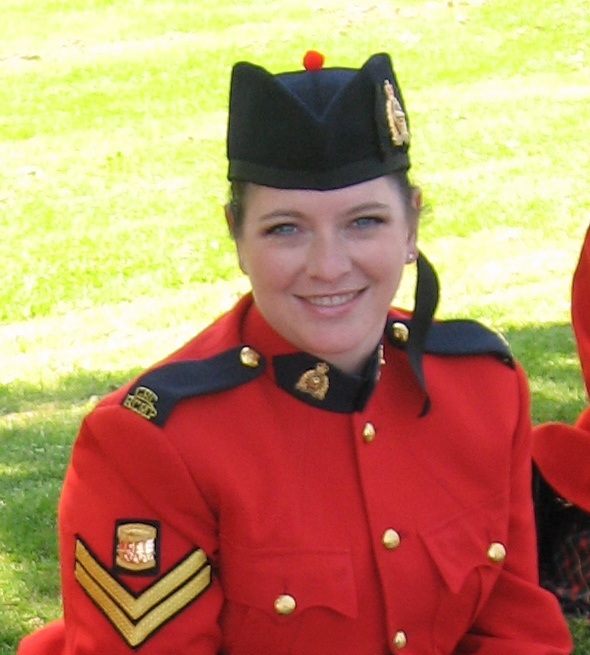 With the departure of our lead tip Gywn MacGregor, we now welcome our newest Drum Sergeant Carol Fraser, who moves up from Drum Corporal to take Gywn’s position. If our RCMP Red Serge tunics had numbers on the back, his number would be respectfully hanging from the rafters of the Justice Institute of B.C. After more than five years with the RCMP E. Division Pipe Band, Drum Sergeant Gwyn MacGregor is stepping down and departing the band. Gwyn made the announcement earlier this month, citing personal and family commitments. His leadership, musical ability and friendliness at band practice and while on performance will be greatly missed. Bagpipes outside…finally, and On the Beach.